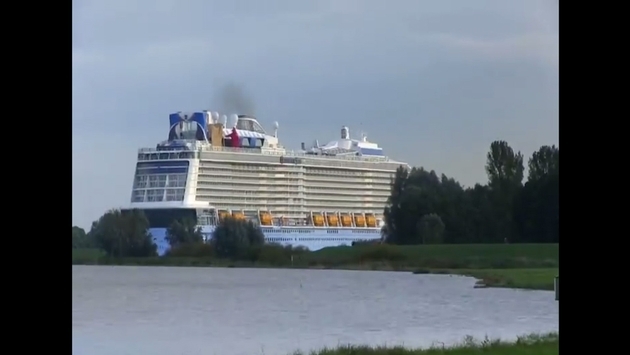 Royal Caribbean International has released a cool time-lapse video showing the Quantum of the Seas moving backwards up the River Ems to the North Seas. Ships built at Meyer Werft in Papenburg, Germany, which is inland, must make the slow transfer to the open sea. Just how do they do this? Read the specifics here. The 168,666-ton, 4,100-passenger Quantum of the Seas will undergo sea trials and then make its way to Cape Liberty in Bayonne, N.J., arriving Nov. 10. The christening, by actress Kristin Chenoweth, is scheduled for Nov. 15. 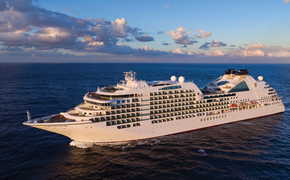 For more details about the innovative new features on this ship, read the report from our tour of the ship in Germany. Post by Royal Caribbean International.